They say there are many paths to financial success, but if you accept the idea that these are two-way streets, that means there are also many paths to financial ruin. Maybe my view is skewed by the fact that people tend to come to me for financial advice once they are already in serious trouble. Then again, my interactions may just be representative of the national condition. A recent study by the Urban Institute estimated that some 77 million Americans have outstanding debt which has been reported to a collection agency, with an average amount owed of $5, 200. That amount owed isn’t even the real problem. The real problem is that if they are not keeping up with their bills, these people almost certainly are not saving enough for retirement. That will lead to even bigger problems later on. How do these people get into such bad financial condition? There are many pathways, but some you see taken over and over. Examining how people got into financial difficulty should not be an exercise in criticism or pity; it should be a learning experience about the nature of financial risk. Overspending. This has classically been attributed to a keeping-up-with-the-Joneses mentality, but there may be an even more sinister form of peer pressure at work here. As Americans sink further and further into debt, it has become commonplace to know someone with tens of thousands of dollars in credit card balances. That can make a person feel better if he only owes a few thousand. Do not measure yourself by today’s debt standards; those standards are dangerously low. Job setbacks. The economy in recent years has made periods of unemployment or underemployment commonplace, and the mistake I see most often is people trying to carry on their previous lifestyle, in the belief the setback is only temporary. A drop in pay may not be temporary, and even if it is, why get yourself into a debt hole in the meantime? Inadequate retirement savings. The problem is that retirement savings is easy to ignore, right up to the point where you run out of money. This is just one of those things that requires willpower and a long-term outlook — and a no-excuses mentality. An investment setback in retirement. The saddest cases I’ve seen have been people who thought they had done all the right things, and made it to retirement with a decent nest egg only to suddenly suffer major investment losses. Bad luck can happen to anyone, but there seems to be a desire among people accustomed to making a good living to still to be getting ahead after they retire. 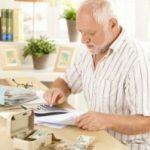 This can lead to excessive risk-taking and, if it backfires, it is tough to recover from in retirement. It would be all too easy to look at these as examples of individual mistakes that people have made, except that the same type of mistakes occur so frequently that it might be more instructive to look at each of these as a form of financial risk. You can probably cite additional examples of ways people you have known have found themselves facing financial ruin, and the fault is often not their own. That’s the most sobering thing about this. The number of setbacks possible on the road to retirement is a reminder of just how multifaceted and omnipresent risk is. In turn, that realization puts retirement planning in perspective. We generate our assumptions, we crunch our numbers, and we spit out detailed results. That detail can give this all the illusion of precision, but it is an illusion. It is not an exact science, and if any one of those assumptions is off by a little bit, the results will be very different when you project them out thirty years or so. Regularly check your assumptions. There are a lot of moving parts to retirement planning, so keeping them in line is a constant effort. Don’t spend your lead. If your investment portfolio gets a little ahead of where you thought it would be, don’t view it as a bonus to be spent. View it as a cushion against the next setback. Don’t take a contribution holiday. Several big-time pension plans did this in the 1990s, with disastrous results. Just because investment results have been good doesn’t mean you should ease back on your retirement plan contributions. Retirement is not the finish line. If you make it to retirement with your savings in good shape, congratulations, but remember you have years of work still to do. Sadly, there are many roads to financial ruin, but avoiding complacency is your best approach to staying off those roads. 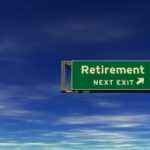 Is Your Retirement Plan DOA? Are You Getting Ahead or Falling Behind? What do you consider risk?